Many people fly into the beautiful Sunshine State simply because the cruise the booked leaves out of the area’s many ports. For the most part, people will arrive a few days before the cruise departs, and stay a few days after they disembark. They opt to do this so they can get a little more vacation time, and see the wonderful things that Florida has to offer guests. You could spend your entire life in the state and never get to see everything that this amazing place has to do and experience. The only problem with cruising on the Atlantic or Caribbean is getting to and from the port. It’s better to use cruise port limo services in Port Canaveral than drive because parking near the ports can be nearly impossible to find. More than likely, you’d have to pay to park in the long term spot at the lot and walk to the port. That would include carrying all of your bags with you. You should definitely use a cruise port limo services company for transportation. 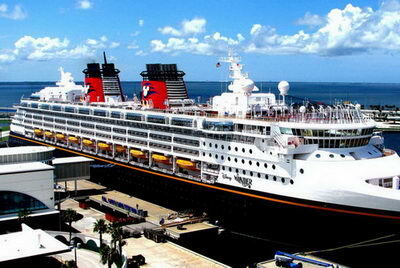 Luxury Transportation Group USA offers luxury cruise port limo services in Port Canaveral. The excitement of going on a fabulous cruise will start bubbling over the closer you get to the port of departure. Unfortunately, the excitement can quickly turn to stress if you are planning to drive yourself to the port. There are so many out of town people driving in the Port Canaveral area that it can really be dangerous to drive on the roads. Drivers stop short, forget to use their directional, and even cut across lanes of traffic without any regard for others on the road. Professional drivers for cruise port limo services in Port Canaveral are accustomed to this mayhem. You’ll be safer using an experienced company. Luxury Transportation Group USA offers complete cruise port limo services in Port Canaveral. The best thing about taking a cruise is getting away from the stress of work, and the daily trials and tribulations of life. In order to start your holiday off on the right foot, you should consider using cruise port limo services in Port Canaveral for your transportation needs. This will ensure that you arrive on time, and get picked up when you disembark from the ship. Luxury Transportation Group USA provides the highest quality cruise port limo services in Port Canaveral and the area ports. Luxury Transportation Group USA is the premiere provider of luxury cruise port limo services in Port Canaveral. Their professional drivers will make sure that you have an enjoyable ride to and from the port. Call 407-476-0429 to make a reservation for complete cruise port limo services in Port Canaveral.